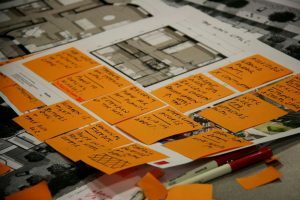 Christchurch Press featured an article about the progress made so far. 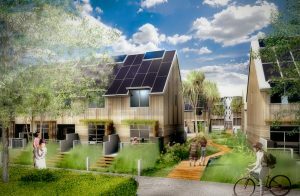 A village powered by solar energy, with roof top gardens to provide food and tanks to harvest rainwater is being proposed for the Christchurch suburb of New Brighton. 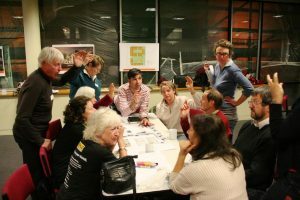 Supporters of the sustainable eco-village hope development will start within five years, but they must secure a site first. 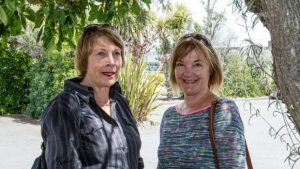 New Brighton Sustainable Coastal Village project spokeswomen Pauline Wayman and Bev Shepherd had their sights set on a 2200 square metre block of land on the corner of Beresford and Mafeking streets. The land is an existing Christchurch City Council-owned car park. 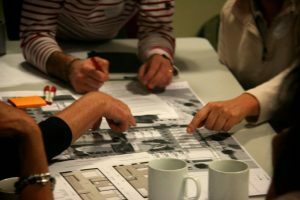 The group want to build about nine homes on the site ranging in size from a tiny 19sqm to 116sqm. 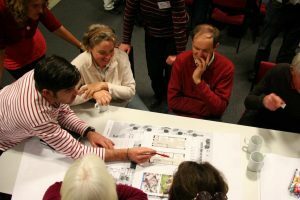 There would be a mix of one, two and three bedroom houses and space for a couple of tiny houses, along with a communal building, community hall, conservatory, extensive gardens and a chicken shed.